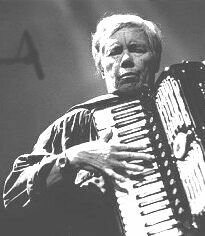 Pauline Oliveros was born 30 May 1932 in Houston, Texas. She studied composition with Paul Koepke and Robert Erickson. Oliveros' life as a composer, performer and humanitarian is about opening her own and others' sensibilities it the many facets of sound. Since the 1960's she has influenced American Music profoundly through her work with improvisation, meditation, electronic music, myth and ritual. Many credit her with being the founder of present day meditative music. All of Oliveros' work emphasizes musicianship, attention strategies, and improvisational skills.